Coming soon, interior seat upgrade to Performance Ford Racing Recarro seats with Katzkin upholstery. Delivered to Griffs as a rolling body ready for final assembly. The tired 302W has been completely rebuilt in house with stage 1 camshaft, slight port work to the heads, stellite seats to suit unleaded fuel, bored, honed and fitted with forged pistons and moly rings. C4 transmission is also fully rebuilt with stage 1 shift kit and stall convertor to match camshaft and rear end gears. Rear end has had housing powder coated and diff centre rebuilt. Complete driveline has been installed including a Borgeson Power Steering upgrade kit, front and rear disc brake system and complete exhaust system. Engine has been fired and run in. Interior and AC system to be installed in 2018. Delivered to Griffs as rolling body. 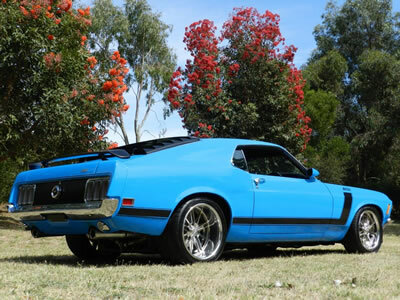 This 70 Mach 1 has already undergone complete bodywork and paint in metallic black with custom grey metallic Mach 1 style striping. 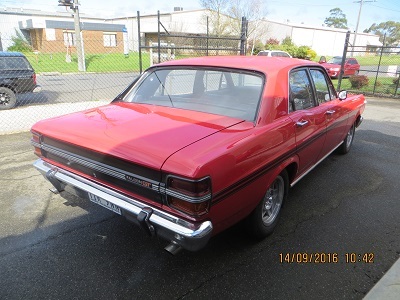 Also has had a RHD (right hand drive) conversion. Now up to the Griffs team to carry out the finishing work for the RHD conversion and full assembly of drive train, interior and exterior. Drive train is a built 351W, FMX transmission to suit and 9″ rear end. We have installed a Billet Specialties True Trac serpentine drive system to the engine to complete the package. Braking system is by Wilwood with front and rear 4 piston calipers and 320mm rotors. An American Autowire wiring harness has been installed to handle the sparks for the power windows, power door locks, E-Stopp park brake system, Dakota Digital Analogue gauge pack and clock. Interior has been trimmed with TMI Sport seat upholstery, matching sport console and custom brushed aluminium wrapped dash fascia panels and door trim inserts. Gearshift is by a Lokar system which will display gear selected on the Dakota dash. Heating and A/C system is a custom fit Vintage Air unit. Assembly is complete, engine has been fired and run in, road testing completed. Delivered to Griffs as rolling body. 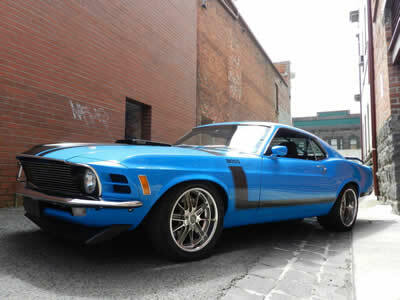 This 69 Mach 1 had already undergone some excellent structural repairs by the owner. Rolling body has been completely disassembled, placed on one of our rotisseries, garnet blasted and epoxy coated. We have fitted new door shells, trunk lid and rear valance, all panel gaps have been perfected as required to all hang on panels, hood has had shaker hole cut out and hood pins fitted. Custom front to rear sub frame connectors have been fabricated to blend with the existing front and rear frame rails, front and rear bumpers have also been modified to better fit the bodylines and shape, rear louvre and rear spoiler have also been fitted, rear valance has been modified to fit custom exhaust tips, radiator, thermo fans and A/C condenser have been test fitted and modified as required to fit. Engine is a rebuilt 351C (Cleveland) coupled to a built C6 automatic transmission to handle the HP through to a Ford 9″ rear end with TrueTrac centre. Front suspension system is by Total Control Products and steering system by Borgeson. Upgraded rear suspension from the old school leaf springs to a triangulated 4 bar with coil over shocks to get the power down from the healthy 351C and provide a comfortable ride. Sparks are taken care of by MSD and complete American Autowire loom has been installed. Custom interior with TMI seat upholstery, custom brushed aluminium vinyl wrap to dash, door panels and console. Bodywork and paint completed in custom Orange/Yellow Pearl with blackouts, final assembly completed, engine fired and run in, road testing and tuning complete. After a massive effort with the metal work, the bodywork and final paint in Track Red has been completed. The assembly is complete, all new suspension and driveline are now fitted. Engine has been completely rebuilt, transmission rebuilt and they are both in their final resting place. Custom wiring loom has been installed and all new interior trim. The 351C engine has been started, tuned and is ready to go! Victorian Road Worthy Certificate and Vic rego are now completed, vehicle delivered to client and can now be seen on the road! Wouldn’t this be cool for a shop truck! Sourced and imported by Griffs for our customer this beauty has already had some upgrades but needs finishing off in a more tasteful manner. Powered by a built 302W with a stage 2 camshaft, 4 bbl Holley and intake, complete MSD ignition system, C6 auto transmission, Currie 9″ positraction rear end, front disc brakes and air conditioning. 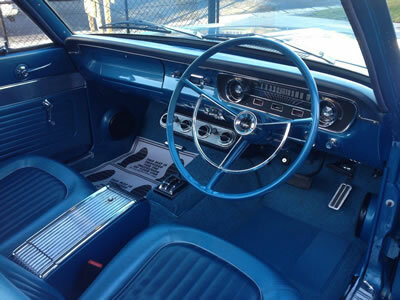 Ranchero has now been completely converted from LHD to RHD (right hand drive), bench seat has been replaced with bucket seats with factory blue trim, new door panels, carpet, dash pad and a Mustang style T-bar shifter has replaced the B&M unit. Engine bay has been repainted after the conversion and is now nice and neat. Engineering (VASS), Vic RWC and Rego has been completed. Ready to hit the road…….. This amazing vehicle was constructed in USA and Griffs arranged shipping from Texas to our workshop for final preparation, paint and full assembly. This is very much a custom build and no stone has been unturned during the build process. Build concept is factory look BOSS in stealth mode, being fully streetable with the ability to throw it around a race circuit or hill climb. It features a custom built 428CI small block stroker engine by Leon Patton Race Engines in USA with a Kinsler/Motec fuel injection system coupled to a custom built 4 speed 4L80E automatic transmission with paddle shift at the steering wheel. 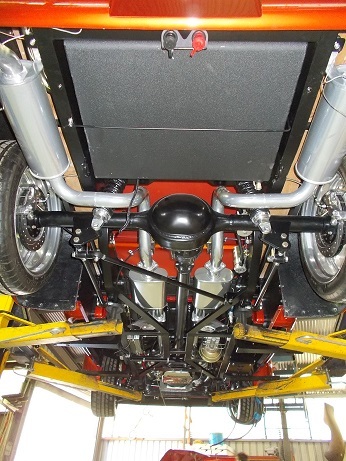 Powering through a custom 10.5″ full floating rear end assembly built by Cone Industries USA. Steering, front and rear suspension is by Total Control Products and has been tweaked of course by Cone Industries. 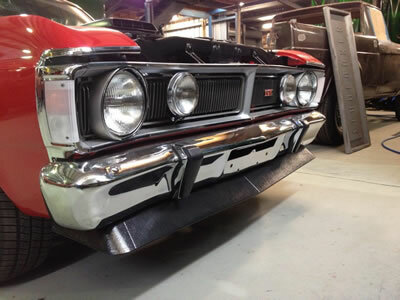 As vehicle will be fully Engineered and registered in SA it has also undergone a RHD conversion during the build. 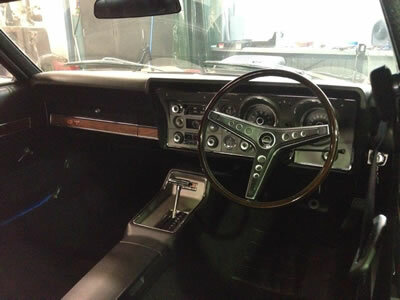 Interior is also modified from standard but still retains the Mustang look. Custom dash , gauges, console and Cobra seats are a certain feature. Vehicle has been completed and is currently undergoing the process for registration in SA. What an amazing vehicle to drive, handles like a true sports car, unbelievable power and it gets the power to the ground exceptionally well without fuss or hesitation. Best of all you can drive on the street without any issues. The transmission is set up with two driving modes; at the push of a button you can switch from “pick up the shopping mode” to “let’s go racing” mode. Right hand drive conversion completed, dash has been modified as required, new RHD power steering rack and pinion has been installed along with positioning of steering column. Brake booster, master cylinder and pedals have been relocated to RH side. Custom inner fenders have been fabricated for an even smoother, clean look, radiator support has been replaced and modified, all front sheet metal has been modified to make the section a complete 1 piece front clip. Factory cowl vent has been filled and smoothed out and complete new burst proof door lock system has been installed. New Roush 427CI stroker engine has been installed, custom headers have been fabricated to suit application. 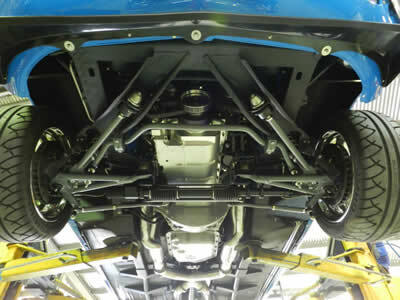 AOD transmission and Ford 9″ rear end make up the remainder of the drive train. Wilwood disc brakes front and rear handle the stopping power. 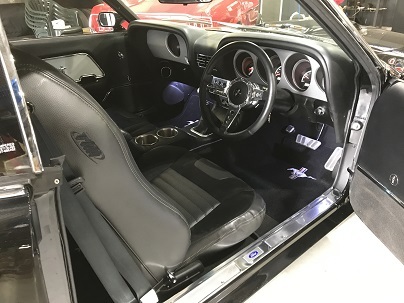 All interior components have been fitted, push button start, remote door lock system fitted, electric window mechanisms, electric park brake, steering column, Glide Engineering seat, Lokar shifter and dash cluster. 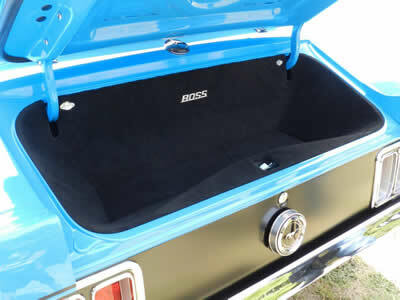 We have also designed and manufactured a custom tailgate insert with “FORD” lettering, what a work of art! To complete the rear tub section a hard tonnaeu lid has been added with electric actuators for opening and closing and match painted to the body colour. The F100 Chassis was put through its paces and has undergone a torsion and beam test as part of Engineering. The complete chassis was powder coated in black as well as all suspension components. The body work and paint has been completed and looks amazing. The Glide Engineering seat asssembly and door trims were trimmed in Ultraleather, csutom healiner and rear of cab covers also custom trimmed. 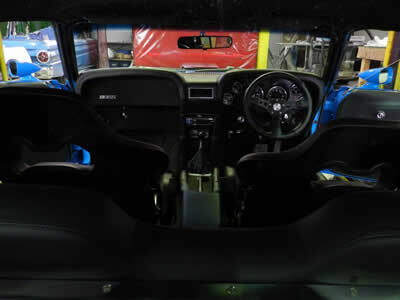 Final assembly is done including the beautiful interior which looks a treat and is extremely comfortable and very usable. Also had a feature in issue 201 June 2017 Cruizin magazine. 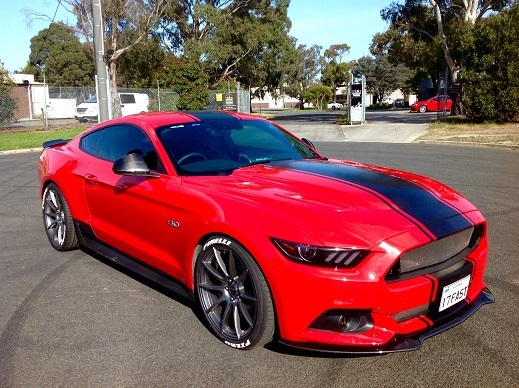 Keep an eye out on the roads around SA soon for this amazing piece of machinery!